This morning, we finished off the last final section of the Kerb framework of the Skylight. The long side facing the Loke is now done. 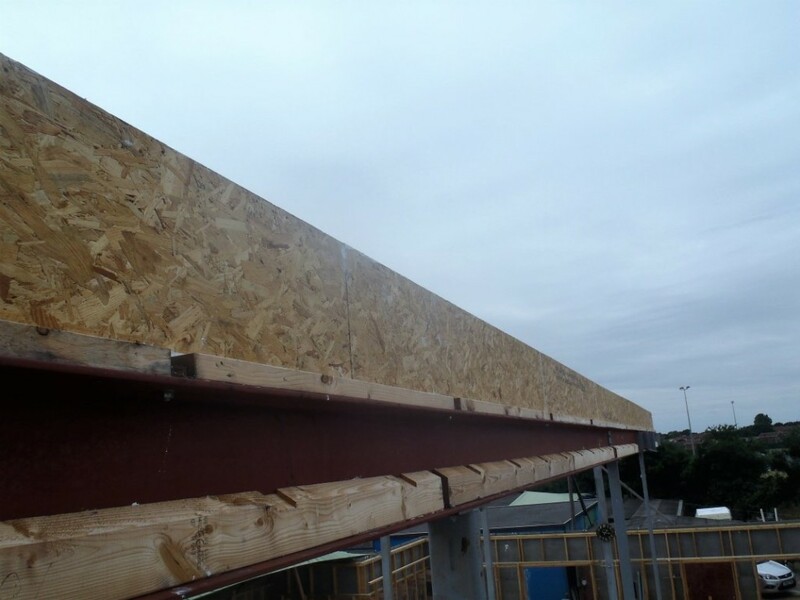 We now have a complete loop of a framework structure sitting on top of the steel I-Beams, ready for the roof rafters to bump up to and also ready for the Skylight glazing framework to be installed on top as well.